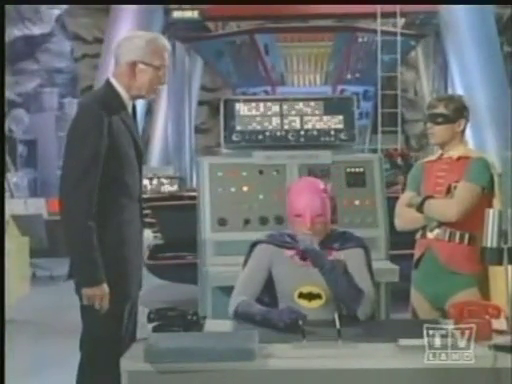 Batman had some ridiculously funny gadgets back in the 60's but, amazingly, some came true! The Batman TV show aired on ABC from January 12, 1966 to March 14, 1968. 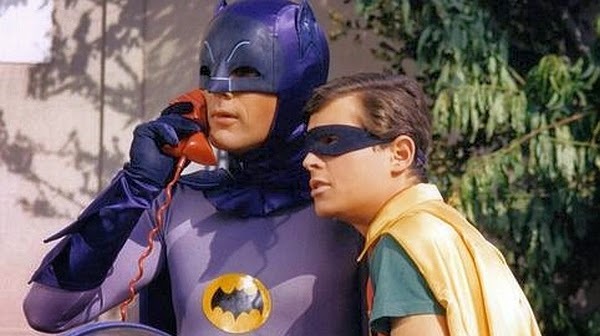 You probably know it starred Adam West as Batman and Burt Ward as Robin. Even though it came out decades ago, for some reason, it's only being released on DVD and Blu-Ray this year. It's been a long time coming and I can't wait to see the "Bat-usi" in high definition! To celebrate, here is some amazing Batman equipment that we have today. Batman had a portable phone in his car! Cell phones are common today and phones in cars were common in 1966. In fact, by 1964, there were 1.5 million mobile phone users in the United States. But, they were insanely expensive at about $1,100 per month. That's $8,000 in today's money. Bruce Wayne was a baller. It wasn't until 1973 that Motorola made the first portable phone. It weighed 2.4 lbs (1.1 kg) and measured 9" (23 cm) long, 5" (13 cm) deep and 2" (4.45 cm) wide. Today, everyone has a phone in their car. And their hand. And it's relatively cheap too. Holy bank balance! Before roaring off in the Batmobile, Batman and Robin always fastened their seat belts. This seems like a pretty common sense thing to do nowadays but, back in 1966, seat belts were less common. Some car manufacturers like Ford and Saab offered seat belts as an option in the 50's and 60's, but it wasn't until 1970 that the first seat belt law came into effect and that was in Australia. New York was the first state in the U.S. to make not using seat belts a punishable fine in 1984. Even then, seat belt use was at a measly 14%. It took decades for the rest of us to catch up to Batman's seat belt use. Holy safety Batman! 3. 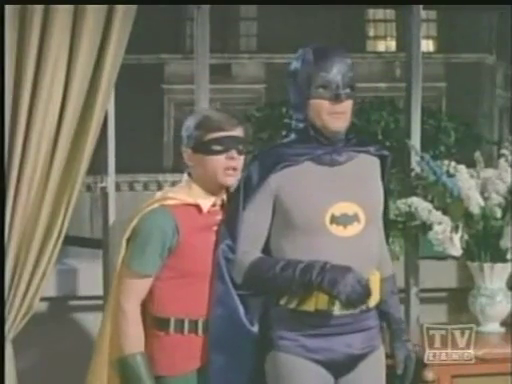 "Robin, Pass Me My Shark Repellent Bat Spray!" 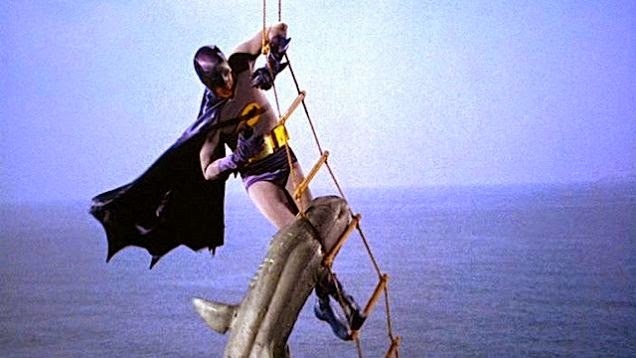 In the Batman movie, Batman gets rid of an attacking shark with his Bat Shark repellent. It's most often mentioned when people talk about how ridiculous his utility belt is. Well, the military didn't think it was so silly during World War II. They spent a fortune researching it but none were very effective. So, in the 1960s, it must have seemed like science fiction. But the field of shark repellent took off since the Cold War of the 1980s and after a series of highly publicized shark attacks in 2001. Today, there are lots of repellents for sale. From ones that smell like dead sharks, to ones that send chemical warning signals. There are also ways to repel sharks using visual, acoustic and electrical stimulants. So, next time you're in the water don't forget to pack your shark repellent. Holy sardines! 4. 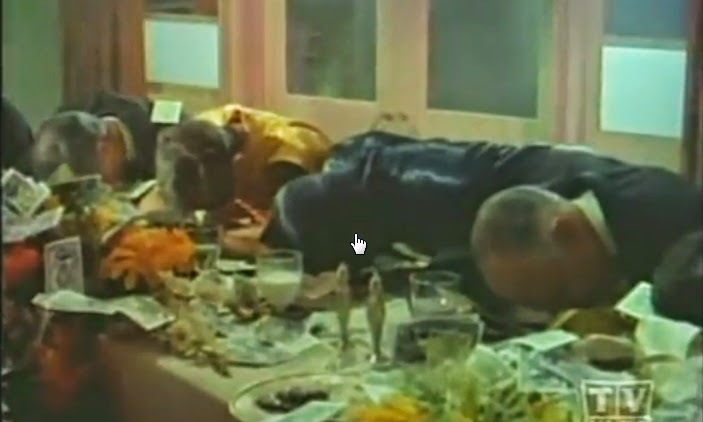 "We Prepared Ourselves Beforehand with Anti-Penguin-Gas Pills." In the episode "Batman Makes the Scenes" the Penguin tries to use knock out gas on Batman and Robin. But it doesn't work thanks to Batman's handy pills. There's no such thing as "Penguin gas," but there are other more supervillainy gases. Nerve gas was used a lot during the Gulf War and the military issued anti-nerve gas agent pills, or pyridostigmine bromide, to the soldiers to counteract the efffects. Holy gas attack Batman! 5. "Sir, All Your Other Cowls Are in the Home Dry Bat-cleaning Plant"
In the episode "The Contaminated Cowl" Mad Hatter sprays Batman's cowl with a radioactive spray. Alfred tells him the rest of his cowls are being dry cleaned in the back, so he has to keep wearing it. An in-home dry cleaner must have made him look like a billionaire. But, today we can get a home dry cleaning kit like Dryel. Holy stain fighter Batman!" 6. "It Looks Like a Note Written in an Ancient Tongue Circa 3,000 B.C." In "King Tut's Coup" Batman got a note from the villain King Tut written in an ancient language. He headed back to his Bat cave and fired up his "Electronic Translator," put the note inside and the machine translated it for him. Today we have all kinds of translators. Head to Google translate and you can decipher any one of dozens of different languages. They even have an app that will translate words and text between 80 different languages. In fact, there's even a website that will translate to and from English to ancient Egyptian hieroglyphics. Holy hieroglyphics Batman! 7. "To the Batcomputer Robin!" 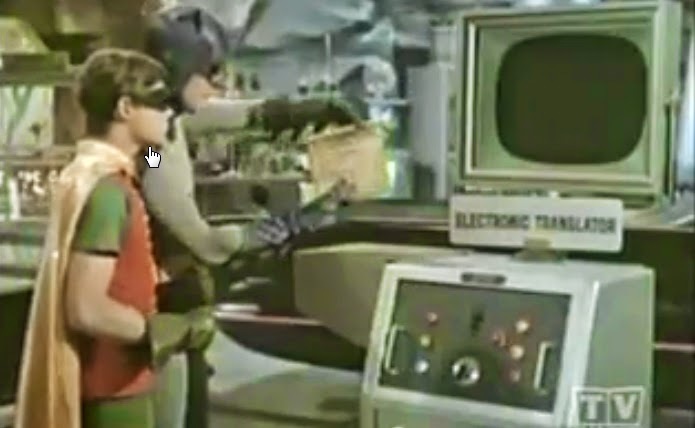 The Batcomputer was first introduced in the comics in 1964, but made it's first onscreen appearance on the 1966 show. It was massive and could do anything, but it was a home computer. In 1967, Hewlett-Packard released the HP 2115 general purpose computer. It had 4K memory and cost about $14,000. It wasn't until 1982 when the Commodore 64 was the first computer to sell over one million units. Today computers are in every home and fit in the palm of your hand. Holy memory bank! The Bat-Key is a literal key to the city. It was given to Batman and can open any door in Gotham City. That shows how much they trust the Caped Crusader. Today they have snap guns (also known as lock pick guns, pick guns, or electric lock picks) that can be used to force open a typical tumbler lock without using the key. So, it's basically a key that can open any lock. Holy Key Ring! Which Batman gadget do you use most often today? Were there any surprises in the list? What Batman gadgets did I miss? Can you think of any funny captions for the pictures? Whole-shameless gadgets... to the BatCave! If I had that key ring I'd be using it in numerous nefarious and diabolical ways. That's really scary hardly anyone used seat belts back then. Wouldn't have thought something we take for granted today, the seat belt, was more or less cutting edge technology at that time. Back in the 1980s flying through the windshield must have been a common pastime. I can't imagine anyone but Batman using those for anything less Pat. He must have used his Bat-prediction machine Mark! Hrmmm. I carry shark repellent everywhere I go. Is that wrong? ?